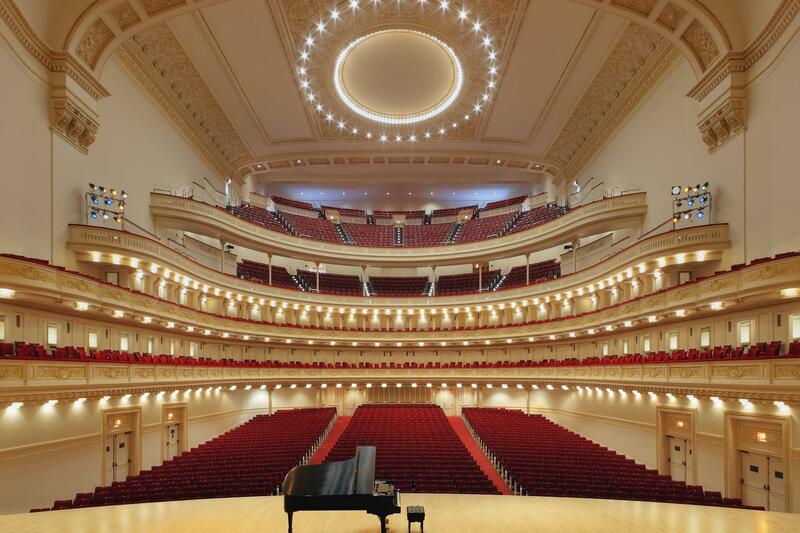 Rent Carnegie Hall Performance Halls | Corporate Events | Wedding Locations, Event Spaces and Party Venues. Three great stages feature memorable classical and popular music attractions, and are also home to comedians, galas, screenings, benefits, and business presentations. The renowned Stern Auditorium / Perelman Stage has hosted countless historic concerts and events since its first opening night in 1891 that featured Tchaikovsky himself. From classical music to popular and world-music concerts, comedy shows, major film and TV screenings, benefits, and business meetings, its remarkable five curvilinear levels and transcendent acoustics have inspired audiences, performers, and guests for more than a century. Zankel Hall, which opened in 2003, is the newest addition to the robust history of Carnegie Hall. With a warm contemporary design, it is home to unparalleled cultural experiences. Its technical versatility presents a perfect setting for corporate functions, panel discussions, and award ceremonies. The elegant and intimate Weill Recital Hall has been one of New York City's beloved venues since its opening in 1891. It is perfectly scaled for solo recitals, chamber music, panel discussions, lectures, and master classes. The impeccable symmetry of its jewel-box design, the beauty of its gorgeous chandeliers and refined architectural ornamentation celebrates the brilliance of 19th-century design.